Let me tell you something; Justin Bieber's Believe album is a true work of art. It is beautiful. And let's not even talk about the acoustic version because ohhhhhh myyyyyyyy. That is some good stuff. All in all Believe is also the title of my favourite song on the album (although I do really love Be Alright and Fall so I'd definitely recommend giving those a listen too). I feel like because of all the bad press Bieber has had since forever people are reluctant to actually listen to his music, and they just think he's some silly boy. Well, maybe that's true, I wouldn't know, but I can tell you for a fact that some of his music is incredible. Like this friggin song. 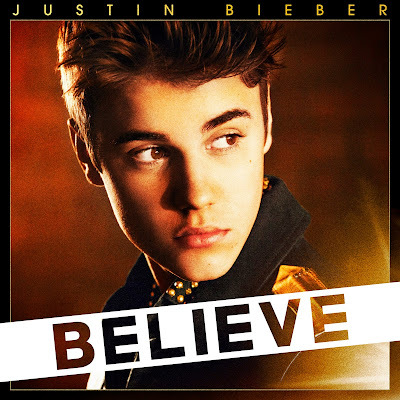 Believe is so hopeful and so well balanced musically. It's stunning. It's got this mellow but equally dramatic tone to it; like parts are very calm and sweet but certain other parts get the drums going strong and the choir backing up and it just adds so much more to the song. I love the whole thing. The lyrics, the instrumentation, the backing vocals. The whole shabang. Also it's always nice to listen to a lifting, kind of motivational (???) song at the beginning of term to get you off to a good start (or something like that).